Team up to overcome the cursed Doom Bots of Doom and their evil overlord before everything you love and cherish is DOOMED! Survive the mayhem… but beware what lies ahead. The Doom Bots wreak their diabolical havoc with not one, but two playable modes. Battle the bots in standard mode, or test your limits with a near-infinite gauntlet of increasingly difficult levels. *Seriously, we don’t have any idea how far you’ll get. **Any players who leave a game of Doom Bots forfeit their icon. 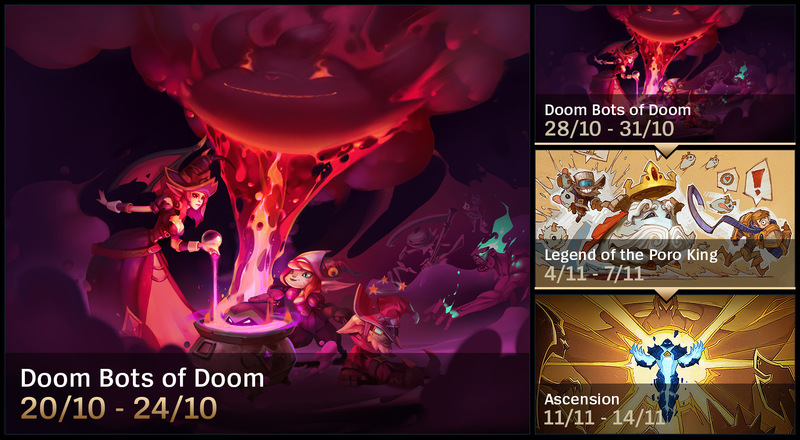 Icon will appear in your account up to one week after defeating the Doom Bots. We may be slowing down the RGM queue rotation cadence for the next few patches as we’re working on some new things. You’ll also see a few more repeat modes as we get closer to the end of the year, but we'll be teaching the ol’ queue some new tricks in the future.